We are joining two blog hops today. 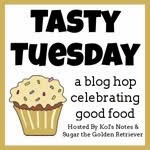 We thank Kol’s Notes and Sugar the Golden Retriever for hosting Tasty Tuesday. Click their names to discover more recipes, reviews, and treats. I'm kind of sorry we didn't pick these! Those would be perfect for Maddie, since quite a few of her teeth are gone....I might order these from Chewy. As I have mentioned before, Mum has just recently started ordering from Chewy and is VERY impressed with them. One of the things she likes is that theyhave been using UPS -- UPS will leave the boxes on the patio, rather than taking them to the complex office which then means mum has to arrange to get them!! Also, if they have a question on your order, they will call ANY DAY to clarify!!! They don't just do what they think you mean -- they check with mum as to what she really wants. gosh these look and sound great! Just the right size for training! We have had some Sojo treats before and they were really tasty! 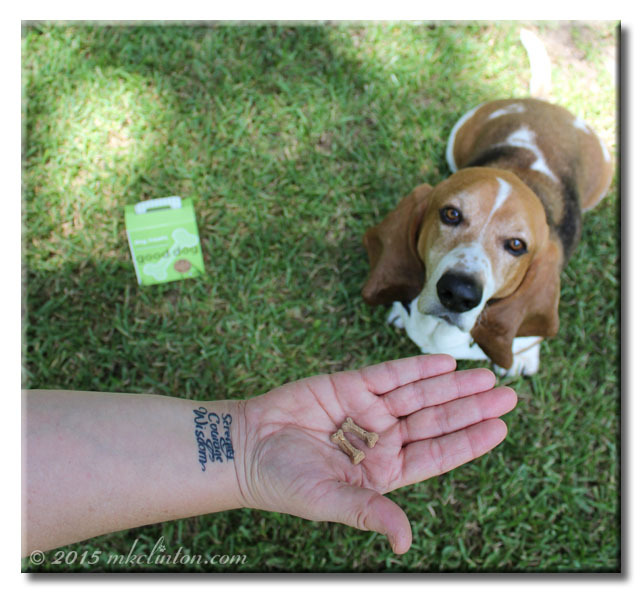 Oh, we love those tiny Sojo's cookie bones! Especially the peanut butter & jelly. Those sure do look and sound tasty!!! 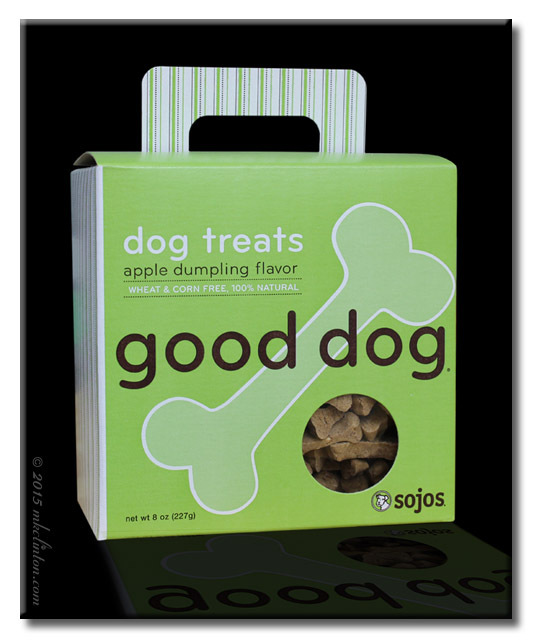 We just loved the chicken pot pie flavor of Sojo's treats and can't wait to try the apple dumpling flavor!!!! Just wanted you to know we stopped by. Mom's arm is so sore after a shot today that she finds it hard to type. Those look good. We wonder if they make cat treats. We love Chewy! Veruca loves apples! I bet she would love these treats! We love Sojo's but I don't think we've tried that flavor yet. They sound awesome!